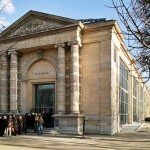 As the repository of Monet’s dreamy and beloved “Water Lilies” murals, the Orangerie Museum (Musée de l’Orangerie) in the Tuileries Garden is one of the most exceptional small museums in Paris. 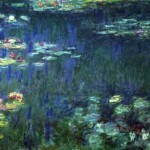 These eight ethereal panels, as large as 6 x 9 feet each, capturing changing views of the light on the water as the sun passed over the garden pond at the artist’s home in Giverny, were his last major works and are housed in two specially designed oval rooms in this historic structure just adjacent to the Place de la Concorde. 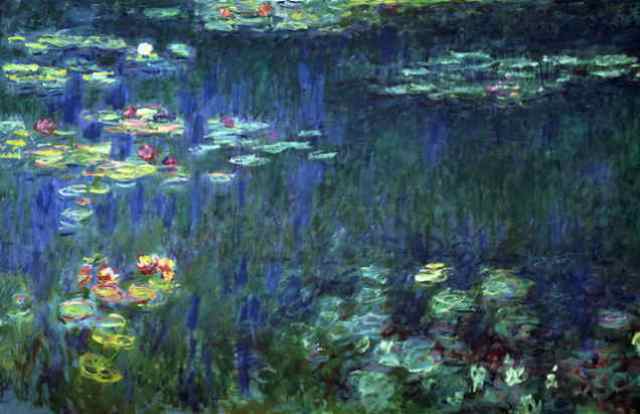 Reopened in 2006 after a six-year renovation of both the tableaux and the galleries, bathed in a diffuse natural light they are superbly restored and a, “haven for peaceful meditation,” as Monet intended. The father of Impressionism’s impressionistic vision of the “Nymphéas” as they are known in French, with their rainbow of colors and hues, created the huge canvases between 1916 and 1922 and they have enchanted viewers ever since they were first put on display in 1927 immediately following the artist’s death. 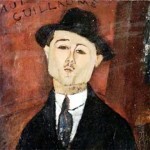 Also housed within the museum on the lower floor is the Jean Walter and Paul Guillaume collection of 144 Impressionist and Modernist paintings comprising works by Cezanne, Gauguin, Matisse, Picasso, Renoir, Rousseau and especially fine works by Andre Derain, Amedeo Modigliani and Chaim Soutine for whom Paul Guillaume served as dealer. 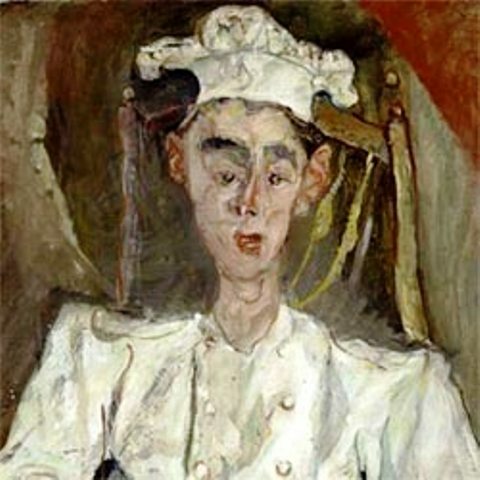 There are five Modigliani portraits in the collection including a particularly evocative one of Paul Guillaume himself from 1915 as well as 22 Soutine’s, the largest museum collection anywhere, among which is “Le Petit Pâtissier” which launched Soutine’s career in 1923. 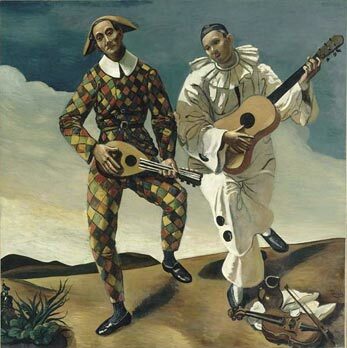 Derain whom Guillaume believed to be supremely gifted is the most highly represented artist in the collection with 28 works on view. Look for “Arlequin et Pierrot” from 1924, one of Derain’s masterpieces and Guillaume’s personal favorite which he prominently displayed in his own home. The museum also hosts important temporary exhibitions, often monographs of the great Impressionists and Modernists and is perhaps the most popular small museum in Paris attracting more than a half million visitors a year. 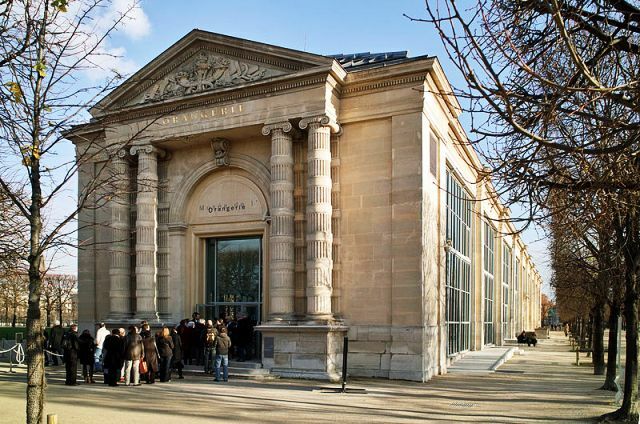 Arrive early to avoid the crowds and waiting in line and consider purchasing a combined ticket for both the Orangerie and the Orsay Museum which offers entry to both permanent collections at a substantial savings. Open everyday except Tuesday from 9 a.m. to 6 p.m.
Closed on May 1, July 14 and December 25. 9€ for and adult ticket. 6.50€ for a student ticket (18 to 25). Free entry for all on the first Sunday of each month.